Police are asking for the public’s to help to locate the man wanted for a string of robberies in Michigan and Indiana, including the robbery last week of the Cedar Springs Admiral gas station. 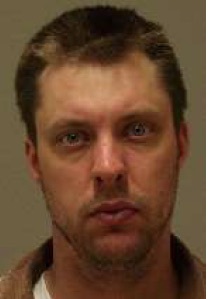 Police are looking for Jacob Abraham Savickas, 33. He is described as a white male, 5 feet 10 inches, 170 pounds, with short brown hair and a beard. 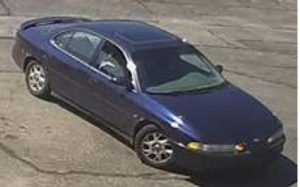 He is driving a blue/purple Oldsmobile Intrigue 4D, Michigan plate DNL1257. Savickas started his crime spree last Wednesday, July 26, when he is suspected of an unarmed robbery of the J&H Mobil gas station at 4404 Clyde Park Ave., Wyoming. He then robbed the Admiral gas station on the corner of Main and Muskegon Street the next day, Thursday, July 27. Police found him at the rest stop on US-131 near 10 Mile Rd., but after a brief foot chase, he got back into his car and sped away. Police pursued him, but terminated the chase on 10 Mile Rd. The Admiral clerk had reportedly told police that he had a small child with him. The next day, Friday, July 28, Savickas is suspected of committing an unarmed bank robbery at the Beacon Credit Union, 820 North Broadway, in Peru, Indiana. On Tuesday, August 1, Savickas was back in Michigan, and is suspected of robbing the Next Door Food Store at 4616 Alpine Ave., N.W., where he struck the clerk with his vehicle. He is also suspected of being involved in other crimes on Wednesday morning, August 2, in the cities of Walker and Grand Rapids, but that is not yet confirmed.